The beauty of nature never stops inspiring us. The mother nature is the greatest artist of all time and that title can never be taken away from her. 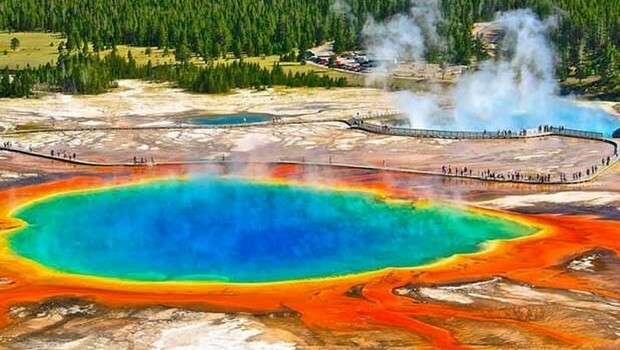 In this article is the list of 10 places that are simply out-of-this-world sights or just the most beautiful places in the world that actually exist and I bet you can not resist admiring them. Take your time to enjoy photos of ten probably most beautiful places on the Earth. 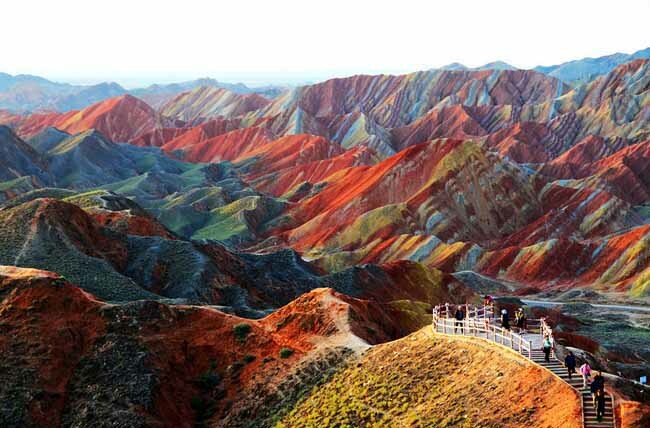 The Zhangye Danxia landform area is known as “the eye candy of Zhangye”. Many artists admire this masterpiece as it is unbelievably colorful, looking like an oil painting. This is the first item on the most beautiful places in the world that actually exist and it’s a stunning one! The Cave has been recently explored (2009-2010) by the British Cave Research Association, the cave has only been open to the public since 2013. 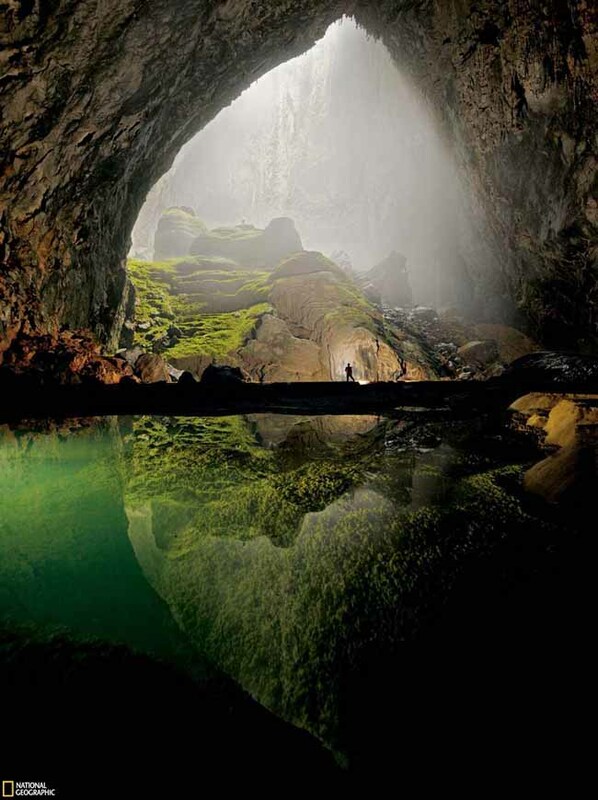 Fewer people have seen the inside of Hang Son Doong than have stood on the summit of Mount Everest. 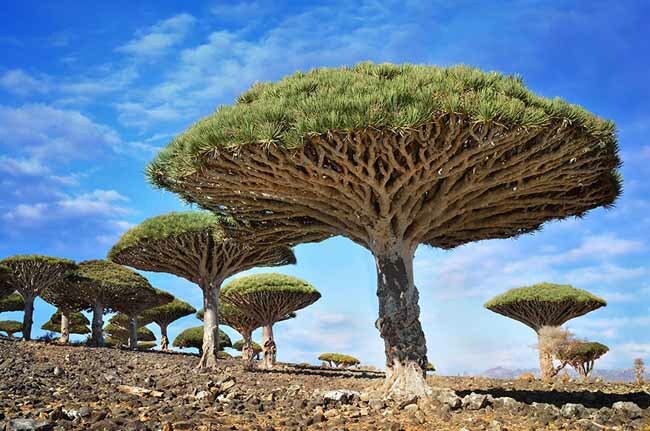 These trees that make unbelievable sight are so called due to the red sap that the trees produce. 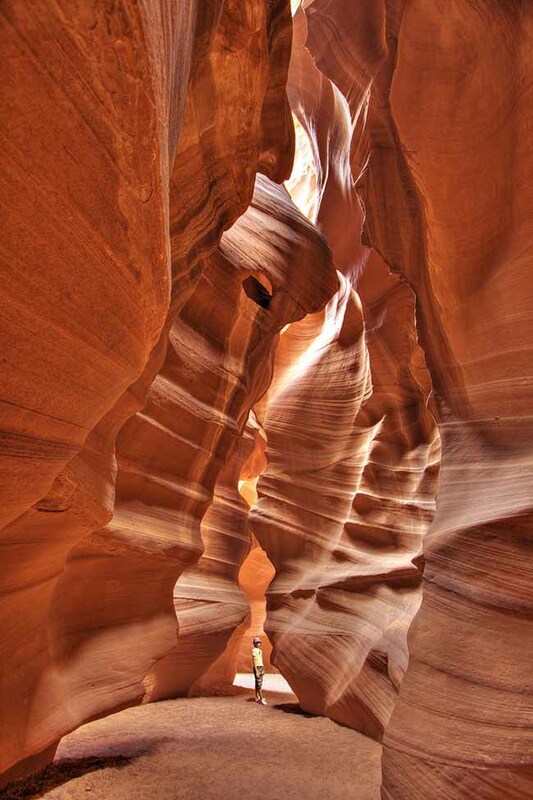 Antelope Canyon includes two separate, scenic slot canyon sections, referred to individually as “Upper Antelope Canyon” or “The Crack”; and “Antelope Canyon” or “The Corkscrew”. Pictures of Abraham Lake in the winter have gotten quite popular. 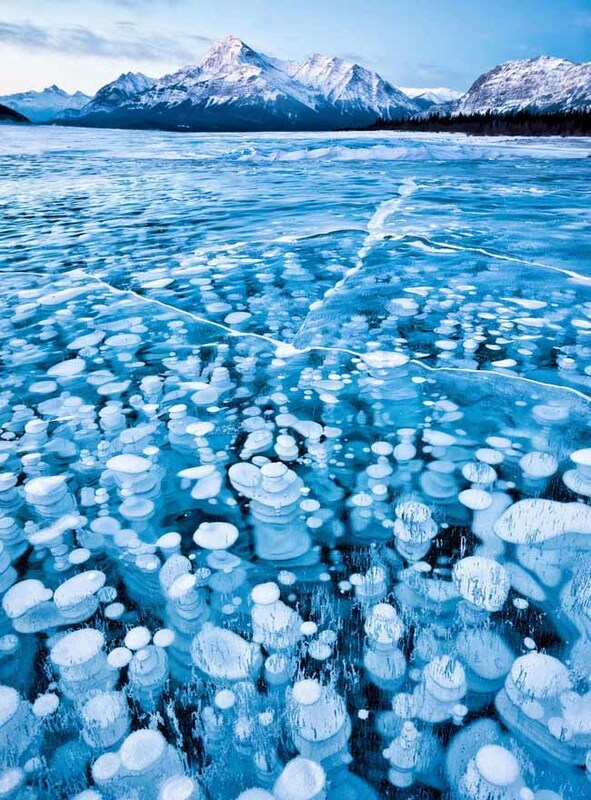 This is due to a phenomenon that creates “frozen bubbles” under the ice creating very unusual sight. 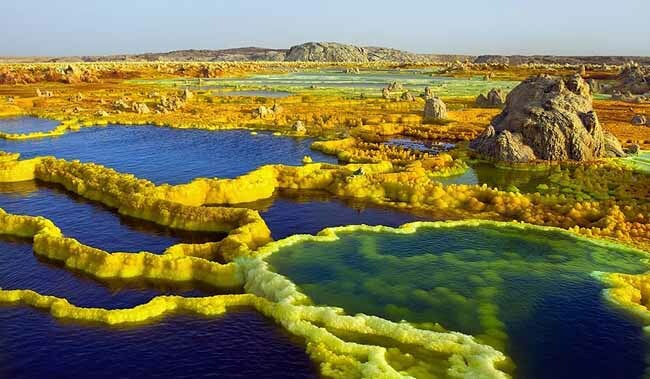 Dallol is a volcanic explosion crater in the Danakil Depression in Ethiopia. It has been formed by the intrusion of basaltic magma into Miocene salt deposits and subsequent hydrothermal activity. Unbelievable sight. 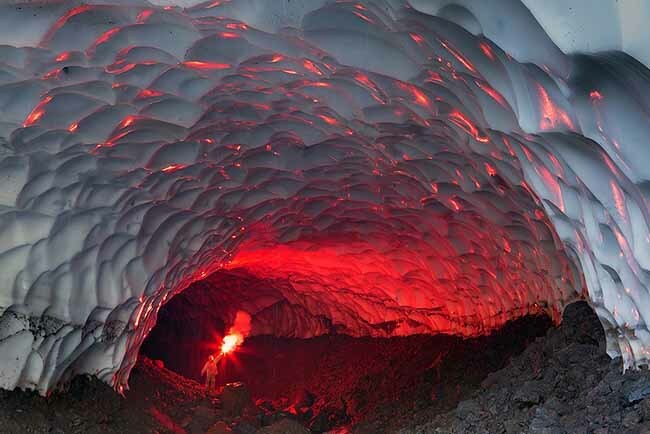 The caves have been carved into glacial ice by a hot spring gushing from the regions Mutnovsky volcano. Just majestic. 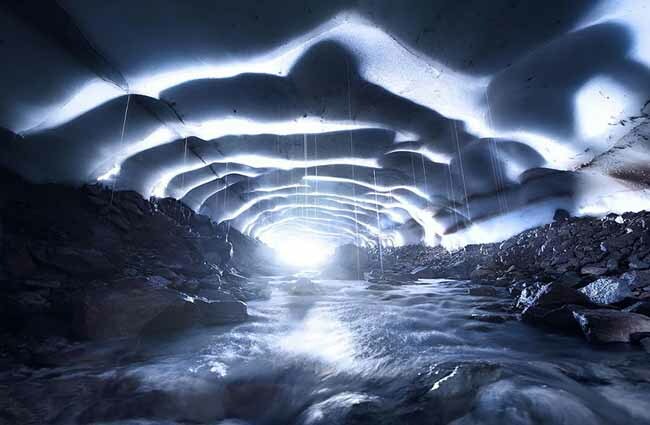 A secret volcanic underground world that was created by a basalt lava flow roughly 80,000 years ago. 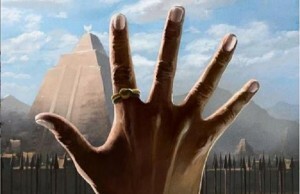 Would you go for the adventure? 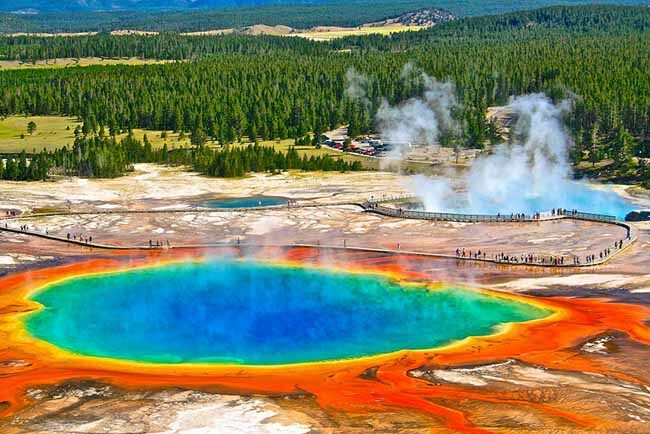 The Grand Prismatic Spring in Yellowstone National Park is the largest hot spring in the United State and the third largest in the world. Incredible image. 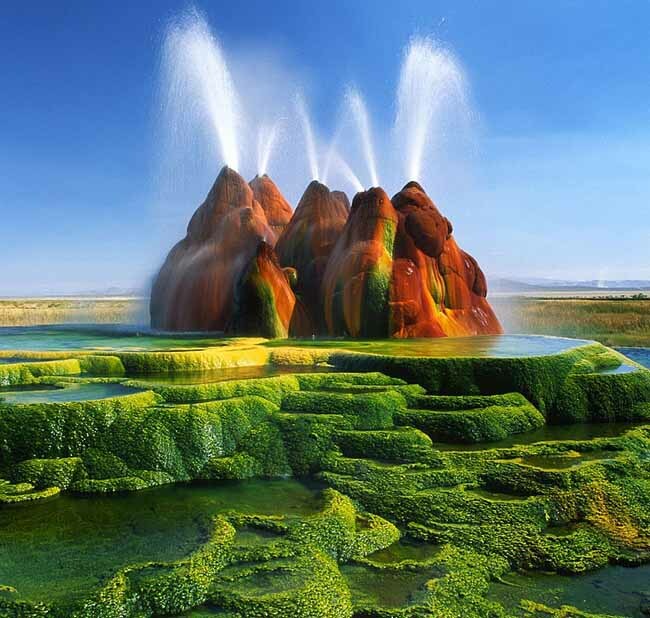 This alien looking geyser on the edge of Black Rock Desert is actually man made. Man-made by accident of the geothermic energy company who drilled than sealed the well testing the water hit which caused Fly Geyser appear. 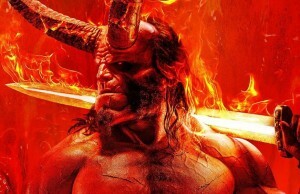 Your friends need to see this! 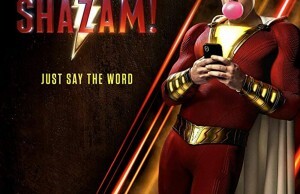 Share with them. ← Previous Story Here’s How To Start a Fire With a Lemon – Ridiculous or Actual Science? Next Story → Want To Leave a Good Impression? Just Follow These Simple Tricks!